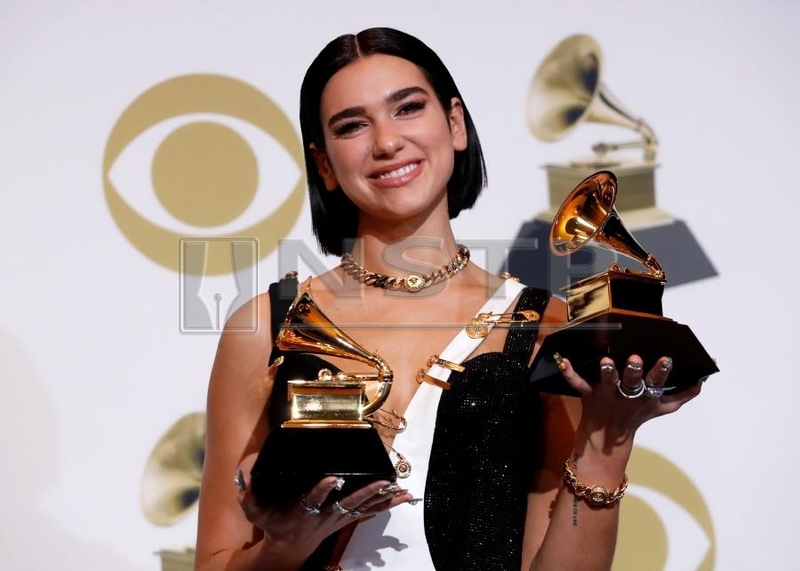 LOS ANGELES: English singer-songwriter Dua Lipa on Sunday bested a crowded field of female talent to take home the Grammy for Best New Artist. Her sixth single “New Rules,” which came off her self-titled debut studio album, was her first number one in Britain – and the first by a female solo artist to top the UK charts since 2015’s “Hello” by Adele. “For anyone who hasn’t realized how special they are to have a different story, a different background, a name, and just want it be normal... just know that no matter your background, what you believe in, never let it get in the way of your dreams,” she said in accepting her award at the Staples Center.